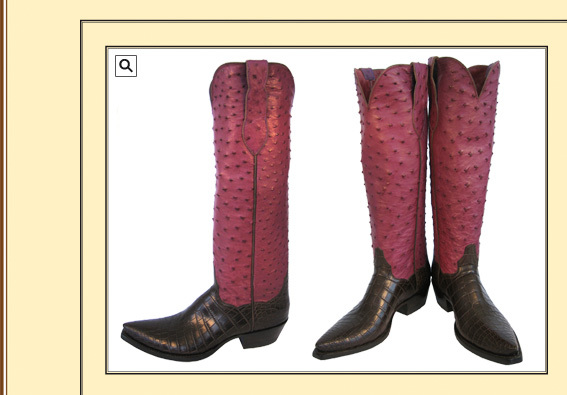 This amazing boot has a 16” colored full Ostrich top and brown Crocodile foot. Shown with a very narrow square toe & 1 1/2" heel. You can change the color combination to anything your heart desires.